Tuesday Tactics produced by Oakley Signs & Graphics to help Real Estate Agents The real estate marketing & productivity newsletter read by 100,000+ professionals who are serious about growing their business. The days of paper to-do and shopping lists is so 1999. Now there are a myriad of apps out there to help you organize lists and reminders. 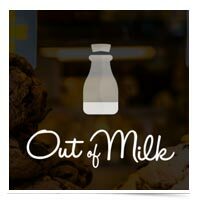 One of the best out there is Out of Milk, an app which consolidates grocery, to-do, and shopping lists in a single interface.